Hello happy readers! Another weekend is here and I can’t believe July is almost over. This is seriously insane. 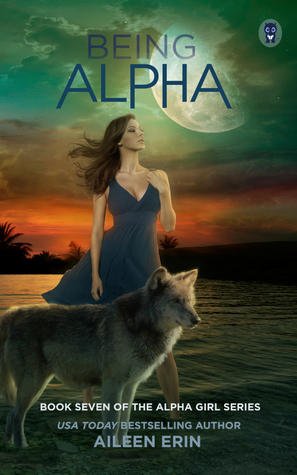 Still that being said I have a review of a new book in a series I adore today, Being Alpha (Alpha Girl #7) by Aileen Erin. I received an ARC of this in exchange for an honest review but as with the other books in this series I already had that baby on pre-order, that arrived this Tuesday, I just get it a bit early this way ;) This is the 7th book in the series which might be intimidating but they are so good and super-fast reads. I have reviewed all the books in the series if you’re interested or need a refresher: Becoming Alpha, Avoiding Alpha, Alpha Divided, Bruja, Alpha Unleashed, and Shattered Pack. In the last book we stepped away from Tessa for a bit and got to follow what was happening with Meredith and Donovan in Ireland. After defeating the evil witch Luciana, Tessa and Dastien were able to go on vacation / honeymoon after seeing their friends’ full moon ceremony and it is glorious and much deserved. But Tessa hasn’t been able to have a vision and there is a nagging feeling that something is amiss….oh and a magical attack that nearly kills her might have been a sign something is up. Now they have to end their vacation and go back into the thick of things, because even with Luciana dead her mess isn’t over. It is so nice to dive back in with Tessa and the gang well minus Mer in person as she’s back in Ireland but she was just a call away. More it was nice to see Tessa and Dastien get some much needed time together. They have been from one disaster to the next and this was no exception but at least they got a break in there for a little bit. They are so cute and I love how they are adapting to the bond. They have a real healthy relationship and I adore how they work together and balancing one another out. It was fun to see how the different pairs worked together as well. I like the unity they all show. Many are Were and loyal by nature but even the others there is this great loyalty between them tried and true forged in battle. Even when they don’t see eye to eye on things they still hear one another out. This is friendship goals! Tessa has grown so much since we got to know her in the first book. She continues to grow as she comes to terms with what she has become. She is powerful in both respects plus she was raised a human so she can see things from different angles. She is ready to jump in and help anyone and takes on more than her fair share of responsibility but still she doubts herself as ever being a true alpha. I love the character development for her and others as they grow from being teens to something more with what they have been forced to endure and adapt too. In books past, and this one as well we always have lots of evils to fight with but in this we had another different battle to win as well. A super powerful demon is trying to take Tessa and she has to battle not just physically but with her mind and soul which was different and fun. I loved seeing the different tethers between the characters was cool. We also got to see how a new generation may be young have a different set of priorities and willingness to work together and break down walls and bound together. Unity is a real theme and I really enjoyed that and of course the combination of Weres’, witches, and fey. The different levels of power between the factions and inside them was present. This book sent shivers down my arms in many moments and had me laughing so hard it hurt at others. Tessa is for sure one of a kind and I love her inner thoughts because I was right there with her. The story in here is intriguing mixing all the different supernaturals and we even got introduced to some new ones I can’t wait to learn more about. Samantha and Eli both seem like huge stories for the telling and oh yeah the whole quick pop over to the Lunar Court….yeah totally have to explore that more in time because that looks amazing! I love that this is seven books deep and we still have so much we can explore and do. Each chapter as you read pulls you in and flies by, the pacing is really on point, add that with amazing characters and fun story and it is gone in a blink leaving you needing more. I’m excited for the next book in the series, and like in books past we are jumping to different characters. I like that the series does that as well as it gives the reader a deeper insight into characters we already know and love and it also provides a break and a way to explore new worlds! Bottom line = I LOVE this installment and this series is an autobuy for me. I already have book 8 on preorder! Come on 2019! By Your Side- My first Kasie West book!!! 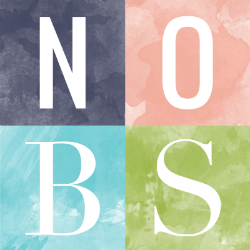 Top Ten Tuesday: Best Books so far in 2018!